It's hot today. 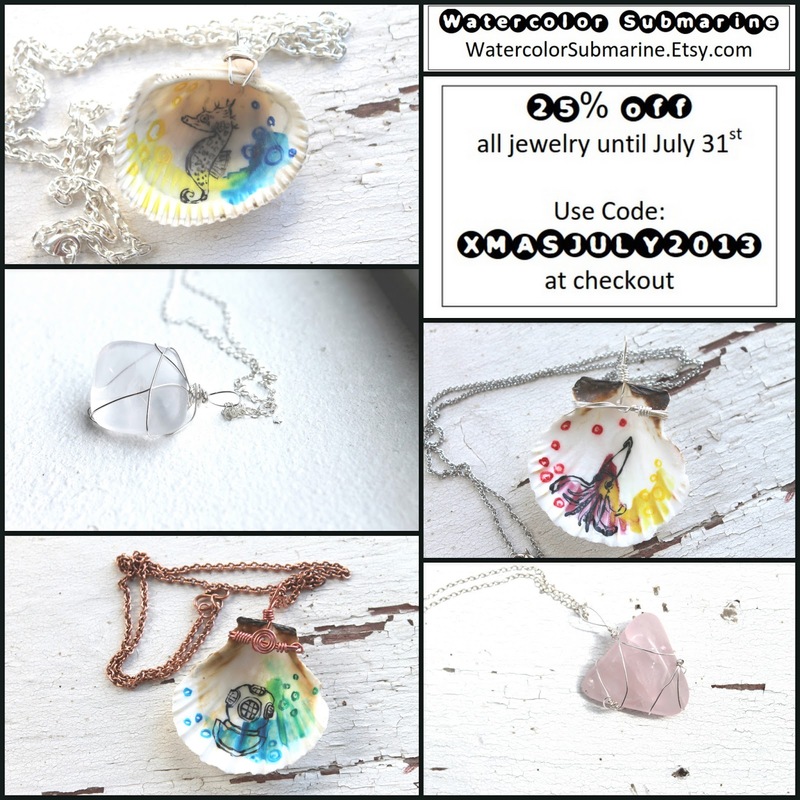 In order to beat the heat, I've decided to have my first ever Christmas in July SALE at Watercolor Submarine. Everything in my Etsy shop (www.watercolorsubmarine.etsy.com) is currently 25% off when you use the coupon code XMASJULY2013 at checkout. So stop on by, and take some time to check out these sweet deals!